If you’re not on the web, you’re dead. Seriously. People look for you and if you’re not there, they’re going to think you’re not real, or that you’re a scam, or that you just don’t care that much. You work too hard at your business for this to happen to you. Thankfully, getting on the web doesn’t have to be expensive or complicated. It can be as easy as a Facebook business page and claiming your Google listing. A full-blown website really is optional and whether you need one or not depends on what you do. Today were going to go over how to claim your business Google listing, and why it’s so important (especially if you have a bricks and mortar business). 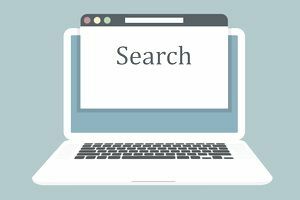 When people search for your company in Google (and they will) a Google listing will come up on the right-hand side of the page—but only if you’ve claimed it. This comes with Google reviews, the ability to put photos and pictures on your listing, and a Google map so your customer can locate you. It’s important to claim your own listing, because you want to make sure all the information that Google is providing is 100 percent accurate. After all this is your business reputation on the line. Even more exciting—this service is 100 percent free to local businesses. Sign in to your Google account (any Gmail address will do) or create a new Google account. If you’re going to create a new account, you can do that by clicking here. Note: Be sure to pick a professional email address. If the name of your business is available, then use nameofbusiness@Gmail.com. If the name of your business is unavailable, then get creative. Often you can use a “the” or a simple adjustment to the name in order to make it work. Go to https://www.google.com/ and type in your city and business name. Click on the navigation option called “maps” in Google and it will show you the map of where your business is and the business listing on the left-hand side of the page. The next step is simple. Just click on the pin with your business on it in the map, and a box will pop up to give you more information. In the box is a “more info” link. Click that link. At this point you’ll see the entire business listing. There will be a button at the bottom of the page called “manage this page”. Click that button. Now you’ll get a pop-up box that allows you to edit, suspend, or say that’s not your listing. Normally here you want to use the “edit my business information” radio button. Then press continue. This is where things get spiffy. In the next section you’ll be able to edit all of your business information. Make sure that it’s all correct and that your including a website address/Facebook page and your contact email. Photos! I’m making a huge big deal of this, because it’s so important. If you are a restaurant or sell retail goods or are a hairdresser, make sure that you upload photos to your Google listing. Photos help people to know what you’re about and can entice people who might be on the edge of deciding to shop with you. After you're done personalizing your business and uploading photos make sure you hit submit. Verification! This is another important one. You will need to verify your account by entering a PIN that Google gives you. You can get this PIN in several ways. The easiest way is for Google to call your business phone number. They send you an automated recording, so make sure you have a way to record the PIN handy. They can also text you or send you a postcard. Once all the steps are complete the verification is done your business listing will appear on Google. In order to claim a business Google listing, you just need to follow the simple steps. Your business will get more visibility in the search engines for actually no cost to you, and who doesn't like free traffic? Once you have your listing on Google you'll want to highly encourage your best and happiest customers to leave you a review and rating on Google, as this is a huge factor in making sure your business appears at the top of the Google search engines and that others see you are a trusted and recommend business.